Home → Why Choose Big Squid ? Our team of instructors and divemasters have been selected on account of their diving experience, patience, organisational skills, and ability to relate to people. They all remember that diving is fun! Unlike some other dive schools our professional staff are paid, we believe this results in a high level of motivation and professionalism. All our equipment is regularly serviced and maintained within HSE guidelines. You will have have access to the latest equipment during your training. We are clear in informing you in advance of your course of any extra costs you may incur. You won’t be charged separately for course materials, air fills, or equipment hire as they are all included in our course prices. After training with us you will be invited to join our dive club. 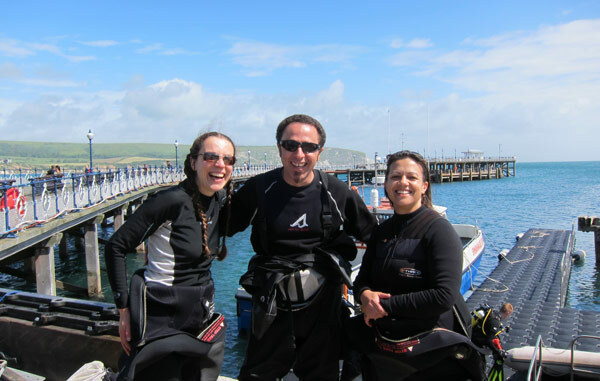 Regular UK dive trips are advertised to diving club members first. Diving club members also get first option on our diving trips we also have a range of regular social events that you can attend. We regularly organise barbecues, paint ball, picnics, ice skating, tapas, and much more. You are invited to keep up to date on the Big Squid Facebook page. Don’t take our word for it, see what our customers say about us.